I’m writing this e-mail to share my experiences after a whole day using openSUSE Leap 42.1. The installation was pretty easy and worked ok.
IMHO, the boot screen is awful. But it’s a taste thing, so nevermind. 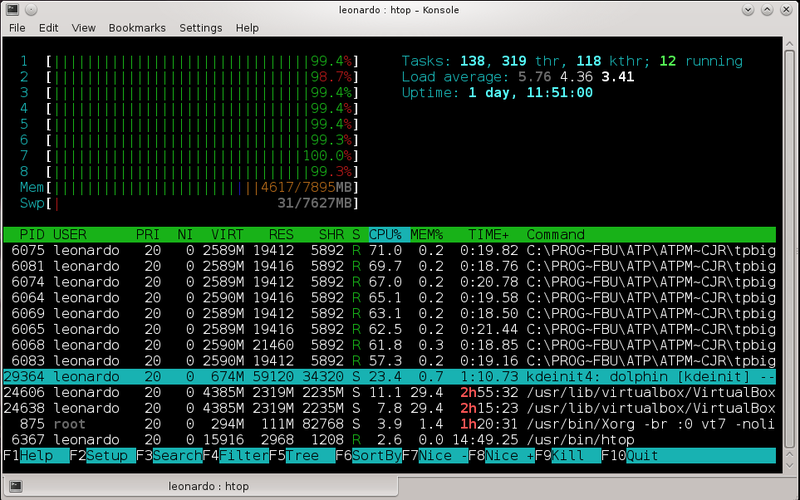 Everything started to go down the hill after logging into KDE. Unfortunately, Plasma 5 is really broken, the desktop environment is so unstable that I’ve missed the panel, the krunner and/or, kwin multiple times. Working with two displays (multihead) was kind of impossible. The graphics and animations are jumpy and not smooth. It was taking forever to reboot and shutdown. I’ve tried also to update KDE with extras and applications repository. Things didn’t get any better. Baloo was consuming all my disk I/O. I could only use the computer after ionice it to -c3. I’ve left my post installation notes here . Of course, that was my experience w/ Leap 42.1 w/ KDE. Maybe others had a different luck within it. After all, I’ve came back to openSUSE 13.1. Well, if 13.1 will reach EOL at Nov/2016 , this means that if I want to keep using openSUSE I’ll have to jump on 13.2 bandwagon until the next 42.2 comes around . And then, I’ll have two months  to check if 42.2 is a stable boat to jump in. Right? What I didn’t get is: if Leap 42.1 were supposed to be a stable release, why it was shipped with this not-that-stable Plasma 5? UPDATE 1: Eventually I’ve found the answer of this e-mail here. However, I don’t know for sure if I agree.